Charles-Michel de l'Epee is known as the "Father of the Deaf" for his pioneering work. Educator Charles-Michel de l'Epee founded the first public school for the hearing-impaired in France. He devoted his life to developing the world's first sign alphabet for the deaf and is known as the "Father of the Deaf". Epee is also credited with creating a systematic method of teaching the hearing-impaired. 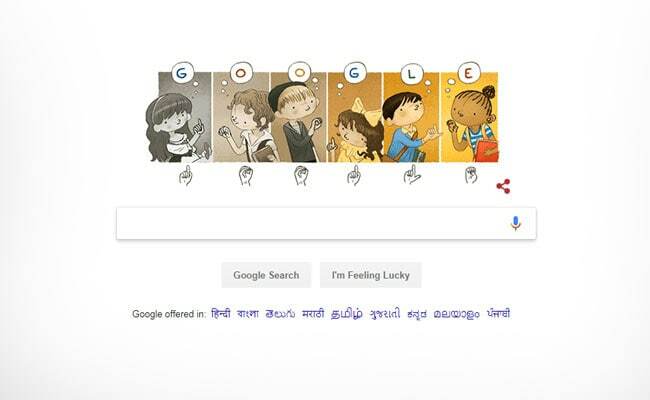 On his 306th birthday today, Google is using an animated doodle to dispel the misconception that people with impaired hearing were incapable of learning. Born in Versailles in 1712, Epee was the son of an architect who studied theology and law before focusing on charity work in Paris. During this time he met two young deaf sisters who lived in the slums of Paris and communicated by using sign language. This inspired him to change countless lives at a time when many deaf people were discriminated against. The school of De l'Epee (Institution Nationale des Sourds-Muets à Paris) was conducted entirely at his own expense. "It is not to the rich," he said "that I have devoted myself; it is to the poor only. Had it not been for these, I should have never attempted the education of deaf and dumb." He refused aid from the wealthy for fear of being charged with mercenary motives. He recognized the importance of sign language as the deaf must learn "through the eye what other people acquire through the ear". Eventually, the French National Assembly eventually recognized him as a "Benefactor of Humanity" and asserted the rights of deaf people under France's Declaration of the Rights of Man and of the Citizen.